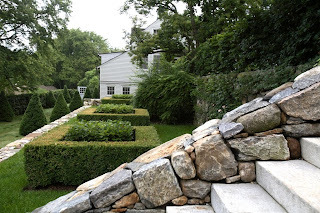 The Garden Plot: Who Will Be APLD's Landscape Designer of the Year? Who Will Be APLD's Landscape Designer of the Year? Currently, a team of judges are considering the work of landscape designers throughout the w orld to determine who will be the next Landscape Designer of the Year, Gold and Merit Award winners. Last year James Doyle Design Associates took the top honors. The winners will be honored at the APLD Conference in Cleveland, Ohio from June 13-18. Visit APLD to register for this conference. The word "conference" does not do justice to the event that is APLD's annual gathering! Fantastic gardens, su perb talks and did I mention fantastic garden tours? The event is open to the public and well worth the expense. It is hands-down the best business trip I go on each year!